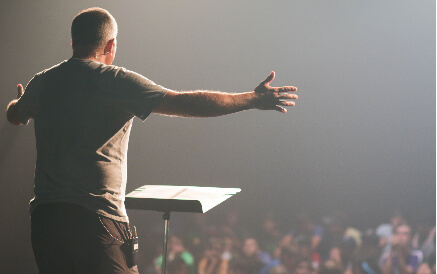 At Carolina Creek Christian Camps you can escape the day-to-day complexities of life. Our caring staff will serve you with purpose and attention to detail.  Bring your group, church, family, school or business to experience a retreat with purpose, all in an amazing setting on the shores of Carolina Creek. Go ahead, give us a call and let’s start planning your important getaway today. We are passionate about providing relationally dedicated service. Our staff will go above and beyond to make your stay fun and refreshing. We strive to create an environment where your group will feel taken care of like family. We are on your side, here to help, and committed to make our staff a natural extension of your retreat. 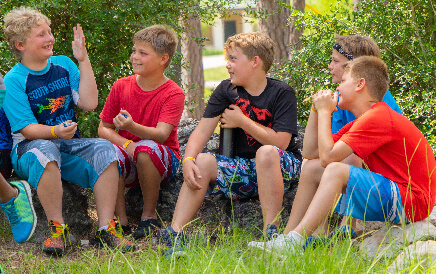 At Carolina Creek, we have three separate “Camp Centers”, each with their own lodging, meeting rooms, dining facilities, activities and recreation space. It’s like having three camps in one! 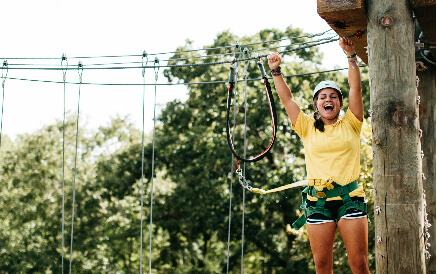 Altogether, our Camp Centers include over 1200 beds, 18 meeting rooms, 3 dining halls, 2 large pools, an outdoor theater/chapel which can accommodate 400+ campers, a full array of adventure activities, and endless walking trails, all along the banks of Carolina Creek. Come to the natural splendor of Carolina Creek and host your next conference with us. Take time to reconnect with others and enjoy the relaxation of getting away from daily routine. Our Retreat Coordinators are ready to help you prepare for an amazing retreat. For a retreat that is anything but ordinary, come enjoy an incredible getaway of personal and spiritual growth at Carolina Creek. Give us a call today to start planning an unforgettable experience for your group. Reunions at Carolina Creek are sure to leave fond, lasting memories. Let us take care of all the details so you can focus on reconnecting with the friends and family members that are special to you. Choose a totally different environment for your team to plan, coordinate, learn and grow. Give our Retreat Coordinators a call today to find out why this is the perfect place for your business. 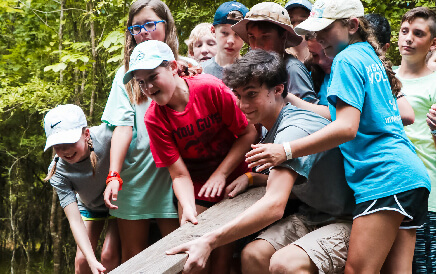 Plan an epic school getaway where your students can practice teamwork while learning more about their own strengths and build a comradery with their classmates. Give our retreat coordinators a call to start planning an unforgettable retreat for your students. 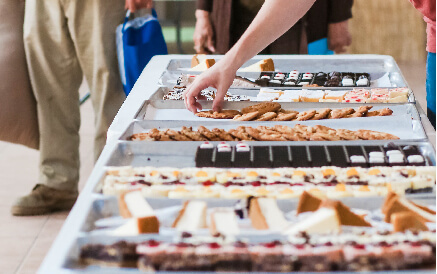 Our coordinators can help solidify your group’s needs and craft a great experience. Give us a call at (936) 594-4446, email [email protected], or give us your information and one of our coordinators will reach out to you.